Raymond “Crunch” Bennett is a well known personality in NZ Rallying. 2016 marks Crunch’s 35th season competing in the sport as a co-driver and over that period he has won the national title (alongside Geoff Argyle in 1998) along with guiding a number of young chargers as they learned the art of top level rallying. Patrick Malley, Josh Marston, Brett Martin, Alex Kelsey to name a few. Crunch joined rookie Te Aroha driver Lance Williams in 2012 and since then its been a steady progression to consistent top 5 runners. As the 2016 season approaches we spoke to Crunch on guiding the young talent, along with reflecting on achievements from the past 35 years. NZRC: Its been a fantastic past two seasons for you and Lance in the NZRC winning the Rookie Title in 2014 and then the Junior Championship in 2015. How has that ride with Lance from being a newcomer in the sport to front runner been from your perspective? CB: Exciting. Like anything in life that you want to succeed at, you will experience the lows. But the good thing about that is they make you appreciate the highs that will come. I always talk to Lance about this when we are standing on a podium. It’s just a wooden step but it symbolises the huge leap in emotions and maturity you have just mastered. The early days with Lance in the old car was character building. Because the car was old; we had many DNF’s but I think this made the relationship between us stronger. I always believed in Lance, and standing on the side of the road due to a mechanical was no fault of us, so we just make better decisions for the future as a result of that. I have always had a plan in place with Lance and it is tracking right as we want it now. A huge part of that is the guys on the team who have always been Lance’s mates since primary school. Friendship and fun are powerful forces and if harnessed to a programme are very strong indeed. Both Possum Bourne Motorsport and now Force Automotive have provided the technical backup to ensure that the car is 100% reliable…as no matter how good you are, you don’t learn much about driving when you are parked on the side of the road or down the bank. I could go on for hours on this….but I won’t. Just to finish by saying that the glue that holds all these teams together should be fun. If it’s not fun…don’t do it. Lance and I are always laughing in the car, and if you can smile through the sweat at the end of a stage, it’s got to be good. 1998 – Crunch alongside Geoff Argyle on route to the 1998 NZ Rally Championship. NZRC: You are entering your 35th season of competition, how do you rate the current crop of young drivers like Lance, Ben and Phil versus some of the previous generations of drivers you’ve been involved with in the past? CB: I don’t think you can compare drivers of different generations, no matter what level of the sport. I have spotted a lot of young talent during the 35 years and mentored quite a few. I think 4 of them have gone onto winning NZ titles and a couple more won events. But one who impressed me in the past was Brett Martin. Nowdays there is no escaping that the young guys need $$$ support to go with talent to move to the top. There are some that will never be that lucky, but all the money in the world doesn’t help if you don’t have the abilities to drive a car on gravel. I think Lance has bucketloads of talent, maturity and the essential X-factor…did from the first event I saw him at and he is lucky to have a very supportive family. The young guys of today perhaps are collectively better than the past, as they don’t seem to wreck gear anywhere near as much nowdays…or is that just a maturity thing? 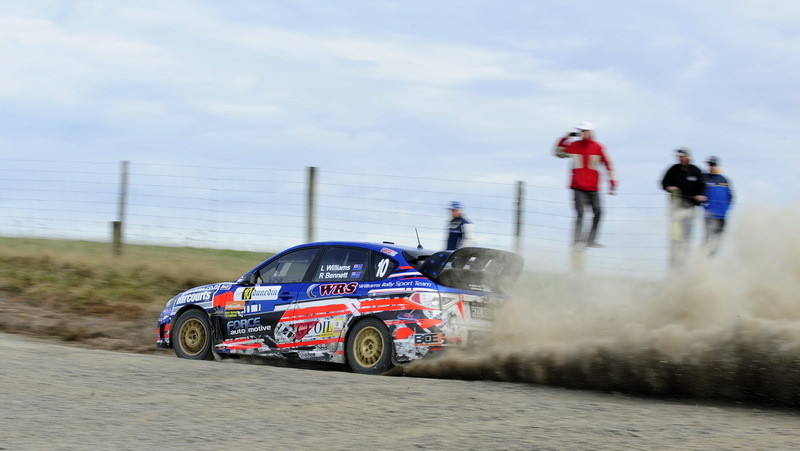 NZRC: How has the role of the co-driver changed over that time? CB: Heaps. When I started your role was primarily as a mobile chequebook. If you could tell the time and read a map that was a bonus. The main skill to develop was waving at the scantily clad ladies standing on the side of the stages. With the advent of Stage notes the job description changed significantly. You now were an intergral part of the success or otherwise of the car, and it made you feel more valued. The value to the driver changed and your $$$ became secondary to your ability in the seat. There are a lot of ancilliary jobs a co-driver can do pre and post event, a lot of preparation and detail to cover, but some teams now have a dedicated “manger/co-ordinator (or both) who do these important jobs. I still enjoy doing this aspect, maybe because I have the time to spare… but can understand the bonus of a co-driver concentrating solely on his job in the car. NZRC: What keeps you motivated about the sport 35 years down the track? It is a challenge to remain motivated, usually due to results. But it is a sport that demands absolute perfection over long periods of time and provides the danger scenario that just makes you feel alive. You know at the end of the day; no matter where you finish, that you have been tested beyond your comfort zone, and done it with friends you trust. 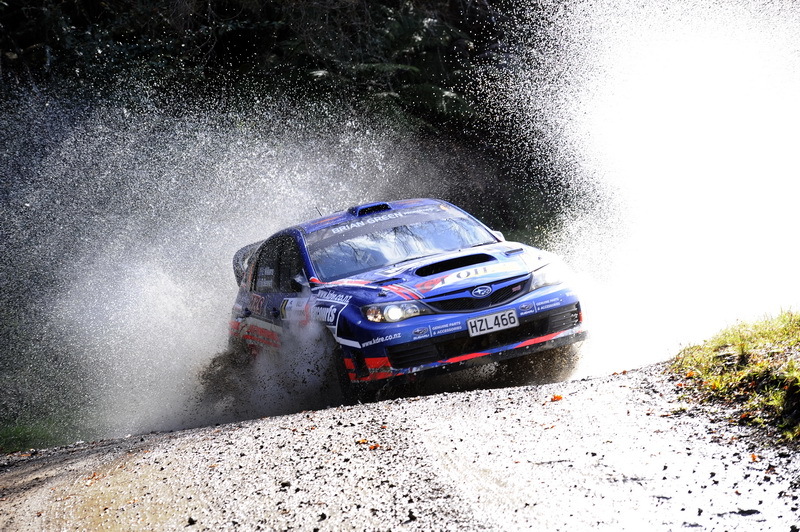 NZRC: You have rallied in every corner of the country, which event/stage are you most look forward to this season? CB: My favourite rally stage is actually the Grand Canyon one I did with Geof Argyle in the States in 1998. But here in NZ it’s a bit harder to pick a single favourite. For a start; any stage we finish is a good one! But ones that I look forward to are Waipori Gorge (uphill) and Motu. It is easier to list the ones I don’t like…Kuri Bush and Golden Bar road, for different reasons. NZRC: There has been some exciting rumours about what you and Lance maybe driving or doing this season, any light you can shed on these? CB: All I can say at the moment is we will be starting the season with the Subaru Impreza WRX Sti R4 that we have used for the last two seasons. This has served us well and I think the best developed Subaru in the country bar none. And will still be competitive However; the scenario is changing and a lot of the decisions are determined by the exchange rate and milk fat price!. We think that any future vehicle will have to be an FIA based car, primarily because of the resale market that is available for these cars…worldwide. Currently we have an FIA R4 spec car, so it isn’t hard to guess what would be the replacement? We are planning to enter WRC events later in the year so whatever decision is made may well tie in with the vehicle we use for these events. So it’s a wait and see for us as well….